Enjoy your up to 80% longer-looking, nourished lashes. 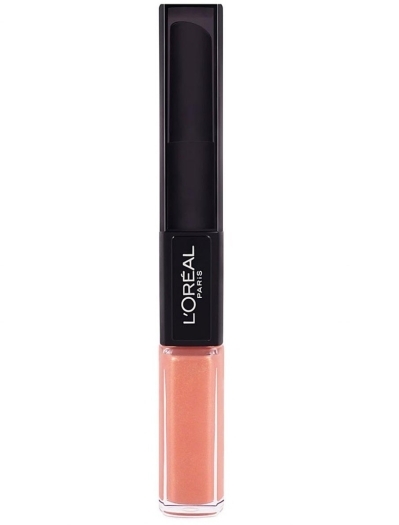 L' Oreal Double Extension Beauty Tubes is a two-step mascara. Step 1: Ultra-nourishing base coat infused with Ceramide R and D-Panthenol protects and strengthens lashes, creating the perfect base for tube application. Step 2: Ultra-lengthening tube top coat sets to form lash-extending beauty effect. It will not run, clump, flake or smudge and will stay on all-day. -Step 3: Beauty tubes remove easily with just warm water - no makeup remover or rubbing required. Ophthalmologist and allergy tested. Suitable for sensitive eyes and contact lens wearers.